September is an exciting time for UK wildlife photography, it’s the month when the winners are announced for the British Wildlife Photography Awards (BWPA). BWPA is the competition which showcases the variety and wonder of the UK’s wildlife, and is the one that UK nature photographers like to get placed in. The BWPA receive nearly 15000 entries each year, with the number of submissions increasing. Now in its 6th year, the awards create a visually stimulating representation of UK wildlife and habitats, ranging from the underwater world to the highest mountain peaks. Every year since it began images from the Shetland Islands have had a strong presence. 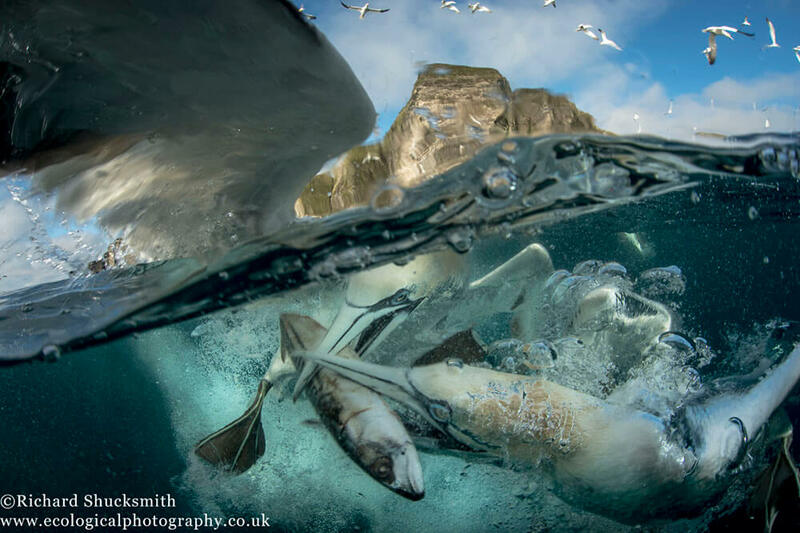 This year’s awards have followed this trend, with the overall winning image for 2015 having been taken in Shetland, the second time within the competition’s history. Barrie Williams came to Shetland as part of his Masters of Arts project in Natural History and Film Making and spent a month on Noss. 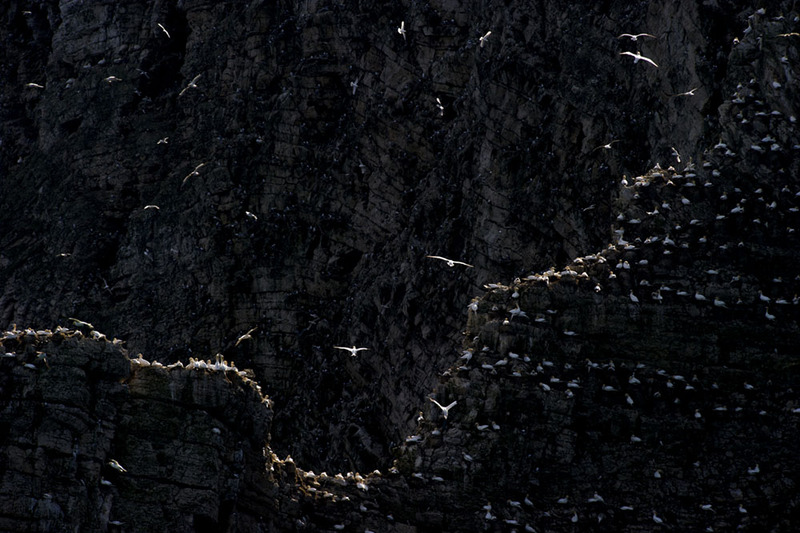 He took his winning image looking down the cliff with gannets flying below. 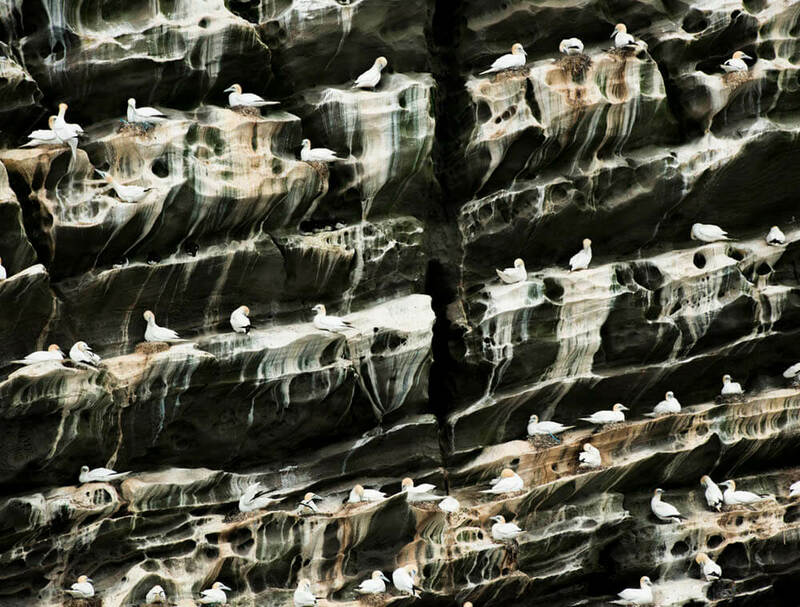 Molly Michelin, another student who has just graduated with a first, has had two images, one from Hermaness and the other from Noss highly commended. Over the last three years Molly has come up to work in Shetland during her summer holidays with Brydon Thomason of Shetland Nature and myself. Another friend Steve Race came up and stayed for a week of wildlife photography, where I guided him to take his otter image that was highly commended. 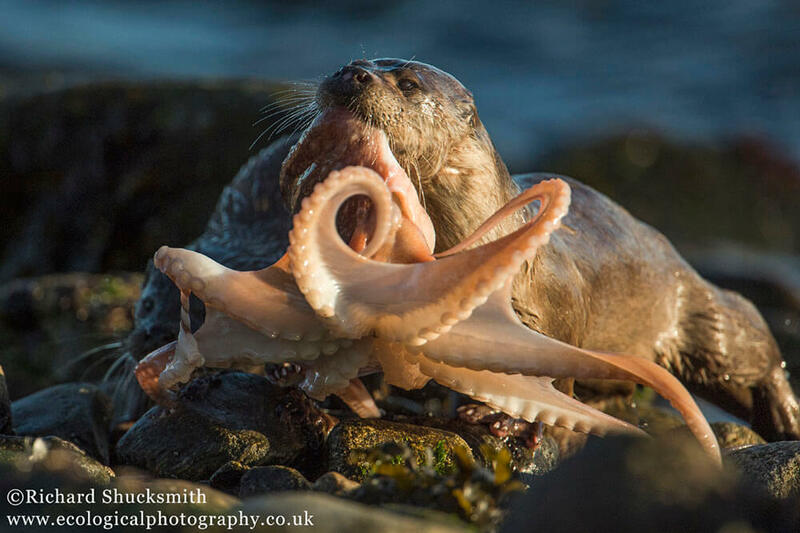 Brydon also had an image highly commended taken from Hermaness, and I have had three images highly commended; an otter coming ashore with an octopus, a puffin with a puffin chick known as a puffling and a underwater gannet image. Along with Andrew Parkinson (gannet), Mark Ellison (kittewakes), Sylvia Brown (gannet caught in netting), John Moncrieff (edible crab) and Simon Rogerson (underwater seastar) Shetland has a strong representation in this year BWPA. Molly Michelin, Highly Commended, Hermaness. The awards prove what we already know, that the Shetland Islands is an incredibly diverse place, with amazing coastal scenery and wildlife. 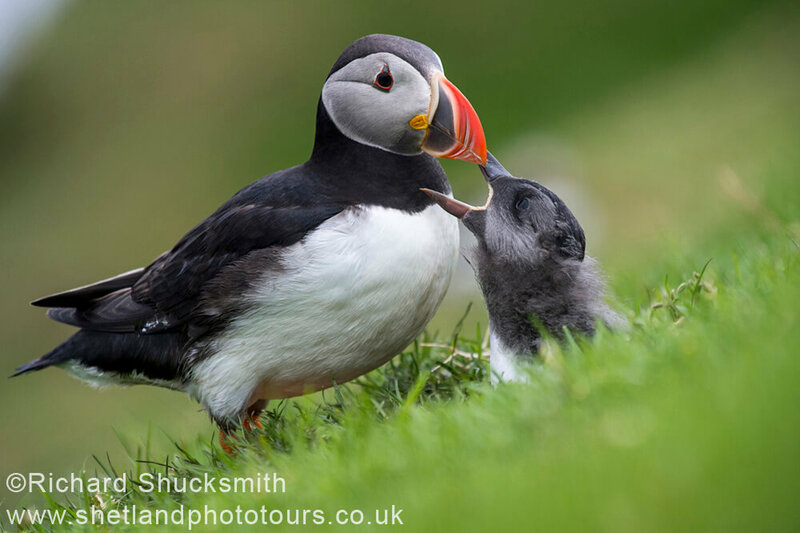 What BWPA does for Shetland is help showcase its wildlife and that it’s a great place for making outstanding images on the national and international stage. These competitions are very good at promoting and marketing themselves, and as a result these images appear throughout the UK in national newspapers, websites, magazine articles, as well as on the international stage. It always surprises me how far reaching the images from BWPA get showcased, with request from places such as China, India and Australia and more, creating global coverage of the competition. It seems the world is very interested in what the UK wildlife has to offer. Competitions are great for publicity, to get your name out there and to showcase wildlife, however you have to be thoughtful about competitions and take them with a pinch of salt. For starters it is based on a single image not on a body of work, so in theory anyone could win any of the competitions, taking pictures with any camera. You do not need an expensive camera to make a great picture, often it’s about being in the right place at the right time. Competitions are very ephemeral, within 12 months there is another winner and images soon get forgotten. I personally believe that there is too much emphasis on competitions when you just need to be out there shooting the images you want to take, at the end of the day photography should be fun. However what competitions can do is make you think outside the box, and look for images that are different to what has already been taken. That alone can be very enjoyable and rewarding when you have worked hard to capture something very different. My final thought is you have to enter, I know it sounds stupid but the amount of photographers I hear berating some of the winning images, only to ask did they enter and the answer is always no. You’ve got to be in it to win it! Above, Molly Michelin, Highly Commended, Noss. Below are my three images that have been highly commended in this year 2015 BWPA. 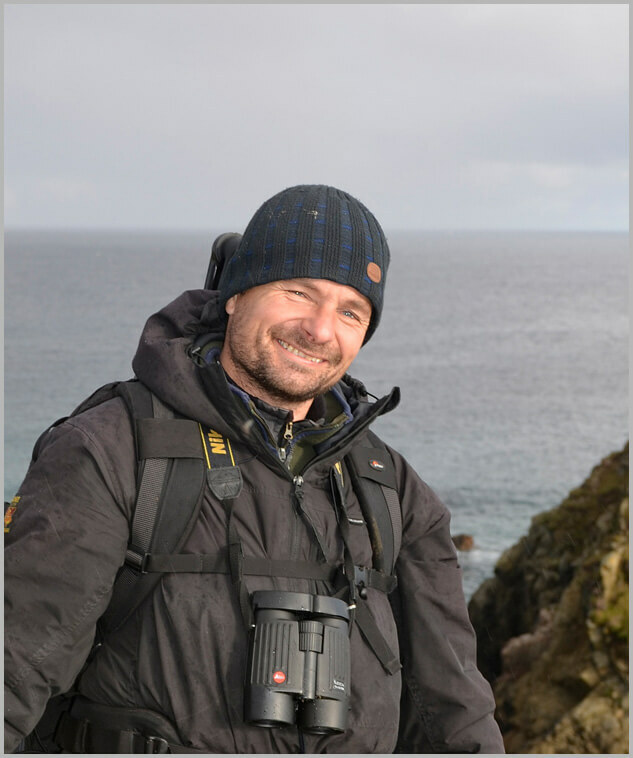 Richard's favourite place is Shetland's coast, for it has a wide variety of habitats, species and dramatic seascapes. He studied marine biology and marine ecology which has allowed Richard to develop an understanding of this dynamic environment. 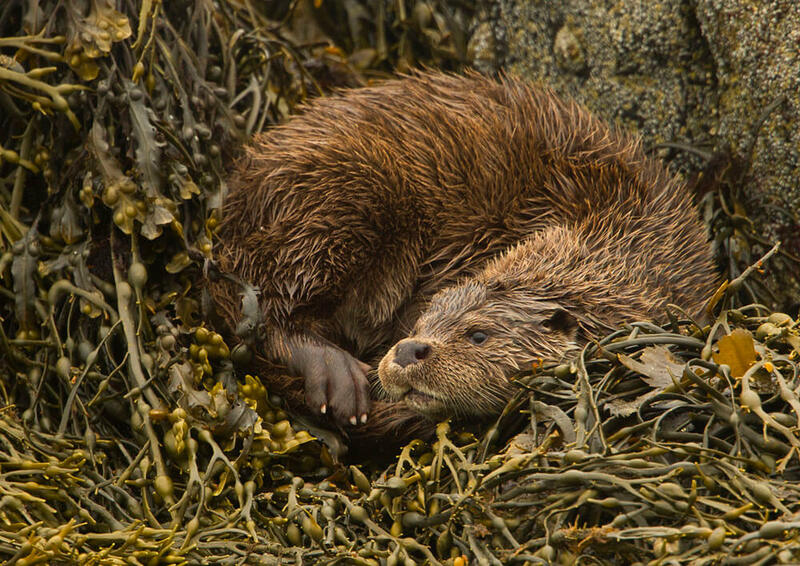 His photography has enabled him to visually communicate this passion and understanding of Shetland's wonderful coastal life in particular Shetland otters. Richard’s work has been widely published in magazines, journals, books, newspapers, advertising agencies around the world and has won many awards for his work. In 2011 Richard was overall winner in British Wildlife Photography Awards (BWPA), as well as winning the animal behaviour category in 2014.